Releasing the Magic! : WHAT WORKS... PASS IT ON! 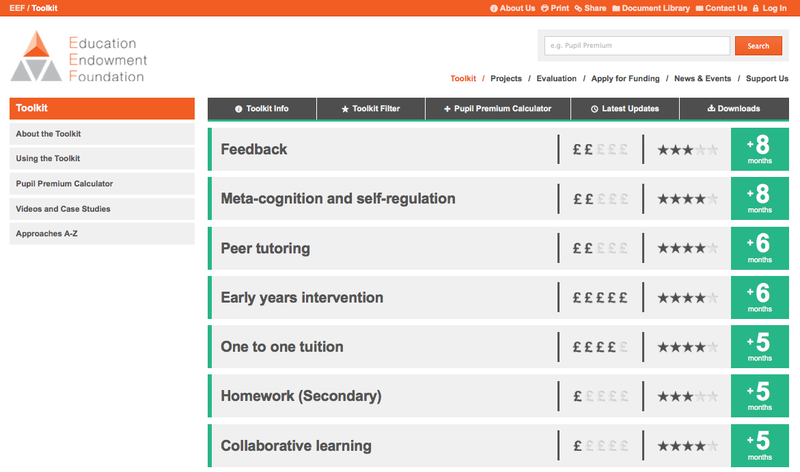 The Toolkit currently covers 30 topics, each summarised in terms of their average impact on attainment, the strength of the evidence supporting them and their cost. These are the ones that appear to make the biggest difference!